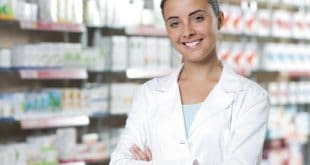 Home / Pharmacy Technician / How Long Does it Take to Be a Pharmacy Technician? How Long Does it Take to Be a Pharmacy Technician? How long does it take to be a pharmacy technician? Anywhere from three months to two years depending on the training program. Many pharmacy technicians learn their skills through on-the-job training. This process usually takes three to six months and a licensed pharmacist or a technician is responsible for providing the training. While technicians learn the necessary information needed to obtain certification, on-the-job training does not provide the same level of education as a formal pharmacy technician program found at a community college or vocational school. Certificate – This takes less than one year to complete, and students learn the basic skills required to become a pharmacy technician. Diploma – This is for students who already have a college degree and have decided to pursue a career as a pharmacy technician. It takes one year to complete. Associate Degree – An associate degree program provides the most extensive training for pharmacy technicians. It takes two years to complete. Dosage Calculations for Health Professionals – Students gain the knowledge needed to calculate drug dosages for various forms of medication, perform calculations regularly used in the pharmacy, and solve dosage proportions. Advanced Dosages and Calculations – This course focuses on the more advanced mathematical requirements for pharmacy technicians. It includes topics such as the metric system, apothecary and household dosage systems, and calculating and reading medication dosages. Pharmacy Records and Billing – Students are taught how to register patients, dispense medications automatically through computer systems, renew medications online, access patient prescription records, and how to complete tasks using a pharmaceutical database. Therapeutic Response in Body Systems – This course centers on how medical disorders affect the human body, common diseases and disorders of the human body systems, the causes, diagnosis, prognosis, treatment, and prevention. Analytical Writing – During this course, students will write in-depth analytical essays along with reader response assignments. Writing a research paper is a course requirement. General Biology – Students examine the fundamental molecular, cellular, and genetic principles that characterize plants and animals. General Chemistry – This introductory course includes metric measurements, atomic structure, periodic chart arrangement, computer graphing of data, properties of matter, chemical bonding, and ionization. Some pharmacy technicians will need to earn certification before gaining employment as it’s a requirement in some states. It takes two to three weeks to find out the results of the Pharmacy Technician Certification exam given by the Pharmacy Technician Certification Board, and there is no wait time to find out the results of the ExCPT exam administered by the National Healthcareer Association. This is because pharmacy technicians find out if they passed before leaving the testing site. Twenty-one states currently require technicians to be licensed. The application process will include a processing fee and is likely to include a background check fee and proving that you’re a high school graduate. The outlook is good as the U.S. Bureau of Labor Statistics estimates that the job growth is going to be around twenty percent until 2022. In 2013, the average median salary for pharmacy technicians was $29,650. If you would like to learn more about the different courses or if you need help finding a training program, please contact us.